In the end, 'you get what you pay for' is true for smartphones in this day and age as a general rule. There are exceptions, but the Mate 10 Lite isn't one of them. Life with it won't be entirely niggle-free, but if your tolerance is pretty high it will make for a good companion. The rest are annoyances rather than big issues: the outdated microUSB port used instead of the newer USB-C, the slightly clunky looks of the Emotion UI interface, the lack of the latest Android version and certainty about future updates, the just-okay battery life and the slow charging, and the lack of extras like water-proofing and wireless charging. If some of these sound a bit nit-picky for an affordable phone, it is because… well, the Mate 10 Lite is actually quite a good phone. Ultimately, it is a safe recommendation if you are looking for a well-rounded phone that does not break the bank. Huawei Mate 10 Lite is one of the finest smartphones for the mid-range customers. From its display to camera section and its processor, it has worked amazing in every part. I didn’t get any major bad point for this device and if you are seeking a good smartphone under 30K then you must look at Huawei Mate 10 lite- won’t disappoint. Positive: Nice cameras; high autonomy; large screen; decent performance. Negative: Mediocre design; no NFC. Positive: Decent cameras; nice performance; good connectivity; large battery capacity; good price. Positive: Good price; decent hardware; nice display; good cameras. Positive: Large screen; nice display; good hardware; metal case; large battery capacity. Positive: Long battery life; great built quality; nice display; good cameras. Negative: Unsupported waterproof. Positive: Elegant design; good display; fast fingerprint sensor. Positive: Compact size; metal case; nice display; good hardware; high performance; good price. Negative: No NFC; poor connectivity; poor cameras. Positive: Good price / performance ratio; nice display; decent hardware; good cameras. Positive: Large screen; good price; nice dual cameras. Positive: Premium design; nice display; fast fingerprint sensor. Negative: No fast charging; poor connectivity. Positive: Nice design; good selfie camera; decent display. Negative: Short battery life; poor main camera; low performance. Positive: Impressive display; slim size; nice cameras; fast fingerprint sensor; large battery capacity. Positive: Nice design; good cameras; long battery life; high performance. 70% [Recenzja] Huawei Mate 10 Lite – szykuje się kolejny hit sprzedaży? Positive: Good cameras; decent battery life. Negative: Average performance; no NFC. Positive: Stylish design; decent display; large battery capacity; fast fingerprint sensor; good cameras. Negative: High price; no NFC; slow charging. Positive: Large screen; solid workmanship; nice display; long battery life. Negative: Low performance. Positive: Nice design; metal case; decent hardware; large battery capacity; good price. Model: The Huawei Mate 10 Lite is one of the finest smartphones for mid-range customers. It is a less-expensive and less-premium version of the flagship predecessors, but it has a full-metal body, a quad camera set up, and an 18:9 FHD+ display. The Mate 10 Lite does not scream budget handset with its unibody metal design, large 5.9-inch 1,080 x 2,160 resolution display with the aspect ratio found in top-of-the-line phones like the LG G6. 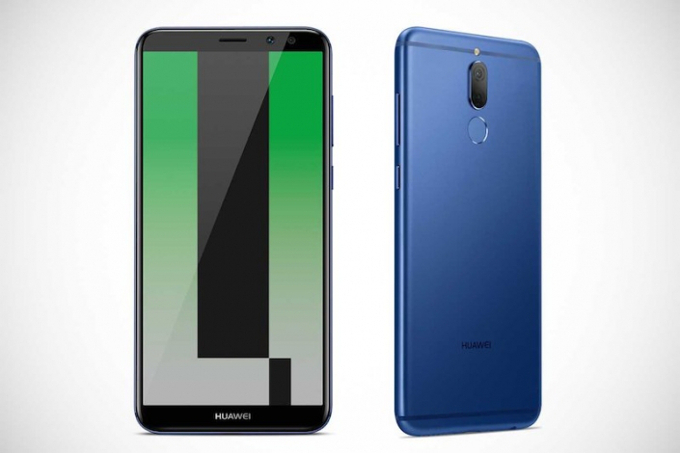 The display is the first time Huawei has put its FullView screen on a smartphone, but other stand-out features of the Mate 10 Lite include its four camera setup. On its rear, the Lite has a dual lens camera array with one high-resolution 16 MP sensor paired with a 2 MP lens. The Huawei Mate 10 Lite’s rear camera features geo-tagging, touch focus, face/smile detection, panorama, and HDR. It camera section has a wide-aperture mode, beauty camera mode, moving picture mode and flashlight mode. The front-facing camera is a similar setup only with the high-resolution sensor coming in at 13 MP. With its beauty front-facing camera, user does not need to use editing application or software for simple editing. The display itself is pretty sharp and nice to look at. Colors seemed a bit too warm, but thankfully user can adjust them to their liking in the settings menu. The screen is bright and easily visible outdoors. It gets bright enough to use it under direct sunlight and low enough that users can easily use it in complete darkness. Being a 5.9-inch screen, the resolution is stretched tall and not wide. This means that it uses an 18:9 aspect ratio instead of the standard 16:9 that most users are used to. Since most videos are recorded in a 16:9 aspect ratio, there are black bars on the sides for most videos. However, web browsing works great and multi-tasking is easier with the longer screen ratio. The top edge of the display has the only microphone on it, whereas the bottom edge houses a speaker, a micro USB port, a secondary microphone, and a 3,5 mm audio jack. One edge provides the volume keys and the power button whereas the opposite one has a SIM slot. The Huawei Mate 10 Lite measures at 7.5 mm device thickness and weighs 164 g. It runs on Android 7.1 (Nougat). 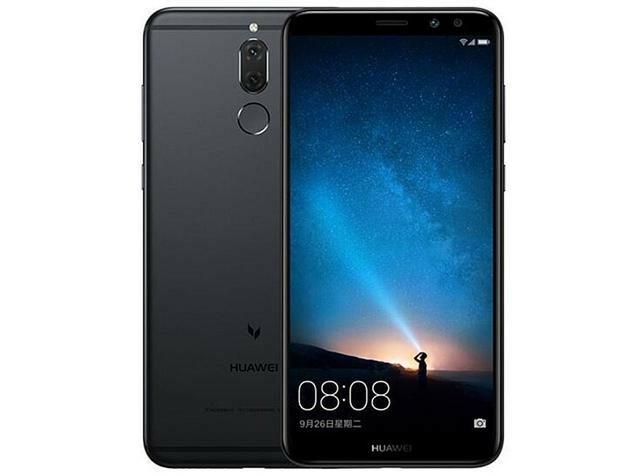 Under the unibody, the phone features Huawei's Kirin 659 octa-core chip running at 2.36 GHz , 4 GB of RAM, and 64 GB of internal storage. It uses the Mali-G71 MP2 graphics cards, which works faster than other Mali cards. This hardware specification can handle many applications and games without any lag. The battery size is 3,340mAh, which should see the Lite last until the end of the day. However, it does not support fast charging, which is a disadvantage. The Mate 10 Lite is certainly a good buy considering that the P10 Plus is not a whole lot better but is priced above the Mate 10. The 18:9, 5.9 inch display is definitely a plus point. 78.63%: This rating is not convincing. The laptop is evaluated below average, this is not really a recommendation for purchase.